CDC is working with RUFFORD SMALL GRANT FOUNDATION UK since last two years. We have completed one project last year and continue working on. The project is working with rural community around KANHA TIGER RESERVE. We are working in 10 villages around GARHI. Under the project we worked on Capacity building and skill development of the community, Awareness and sensitization on conservation issues. Livelihood enhancement and promotion of use of non conventional energy sources to reduce pressure on forest. 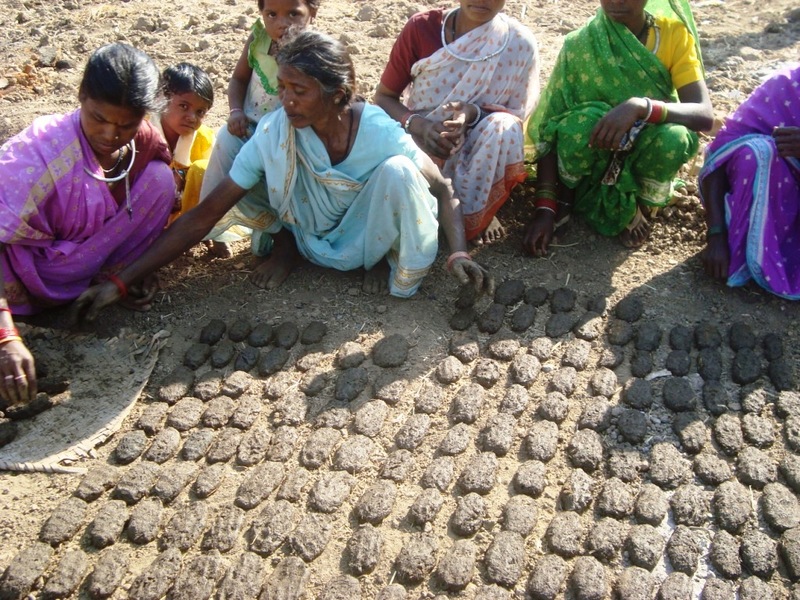 People in the villages using fire wood in huge quantity, we trained people to make bio-globues using bio waste. CDC has been completed one more year of project "Strengthening of Community Conservation Initiatives in Buffer Zone of Kanha National Park". Click here for the Project Details and the Report. One manual on making of Improved wood stove [CHULAH] and Bio-Bracket also developed in Hindi for rural community.